A trio of women create, discover, and keep disappearing on each other in this melancholy modern fable. Despite what the usual comparative literature syllabus tells you, magical realism isn’t limited to the South American masters. 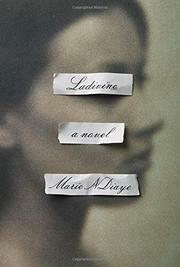 In her bizarrely lovely new novel, NDiaye (Three Strong Women, 2012, etc. )—also a playwright, essayist, and screenwriter—offers strong evidence that the particularly French version of elegant, often opaque mystery does as well in fiction as on film. Here’s what we know for sure: Clarisse Rivière, nee Malinka, visits her mother, Ladivine, once a month in Bordeaux. Then Clarisse has a daughter, also Ladivine, whose namesake is barely aware she exists. When Clarisse dies unexpectedly, both mother and child learn about her killer from the press. Here’s what we don’t know: most everything else, even after the final page. Yet NDiaye manages, by dropping tiny hints writ exquisite, to keep those pages turning all the same. Through flashbacks and passing glances—for instance, the lone phrase in which we learn that Ladivine mère is black—she builds a complex story of three desperately sad, searching lives. These scenes don’t tend to end well for the players, but NDiaye’s gift with language (rendered delicately by her translator, Stump) gives them surprising appeal. Clarisse calls her mother “the servant,” accepts her role as “the princess,” and celebrates her daughter as “that marvelous baby.” But as she withdraws further into herself, losing her husband and gaining a dangerous lover in the process, it becomes more and more difficult to get a sense of who this double-named woman really is. The reader’s desire to find out mirrors the longings of the two Ladivines. NDiaye reveals only as much reality as she wants to at any given moment, though—and therein lies her magic. Come for the promise of a big reveal; stay for the beauty of small moments.